Pincushions are a great project since they are small and only take a few hours to make. Plus, you can never have too many! This tasty treat is from Miss Rosie’s Fruit Salad pattern. 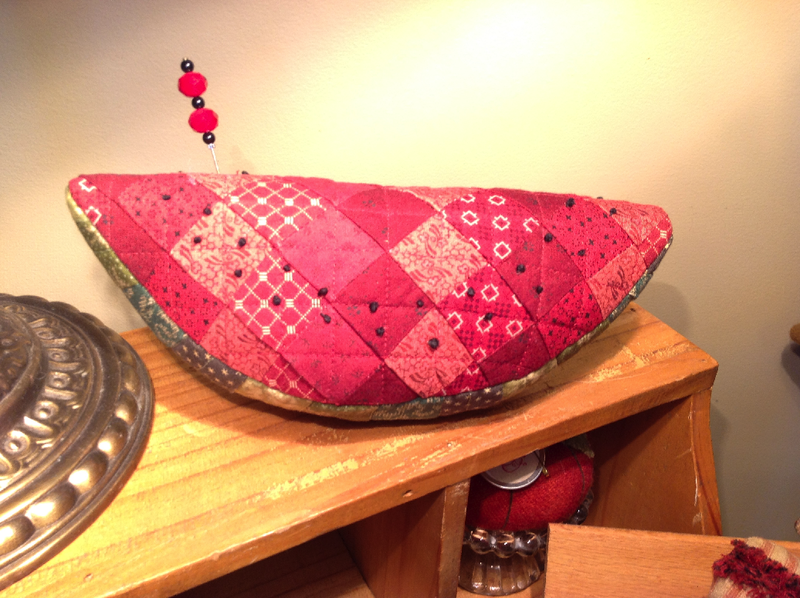 This entry was posted in Dolls and Softies, Pincushions, Quilting. Bookmark the permalink. This is true but where do you put them all? Everyone of them are cute so I guess the best thing is to keep them in a wicker basked. I scatter them around the house. I do have some piled up in a wicker basket. When I am really on the ball, I rotate them out seasonally!